Sadie Blue Slim Leg Jeans is rated 4.3 out of 5 by 9. 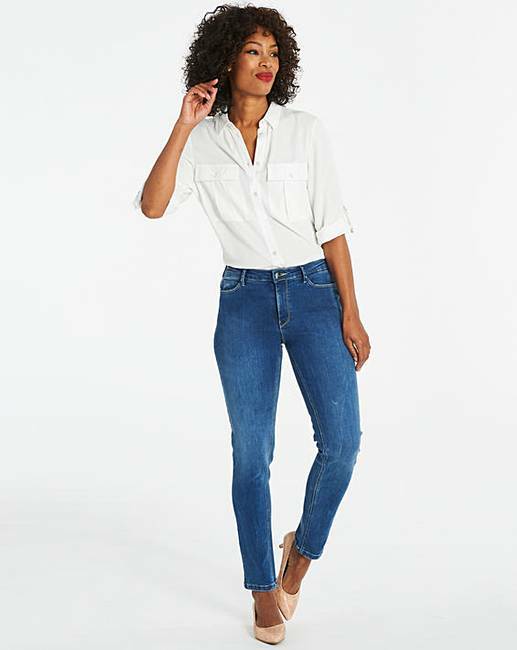 Introducing the new Sadie slim-leg jean, cut to fit you perfectly with new and improved fit and fabric. 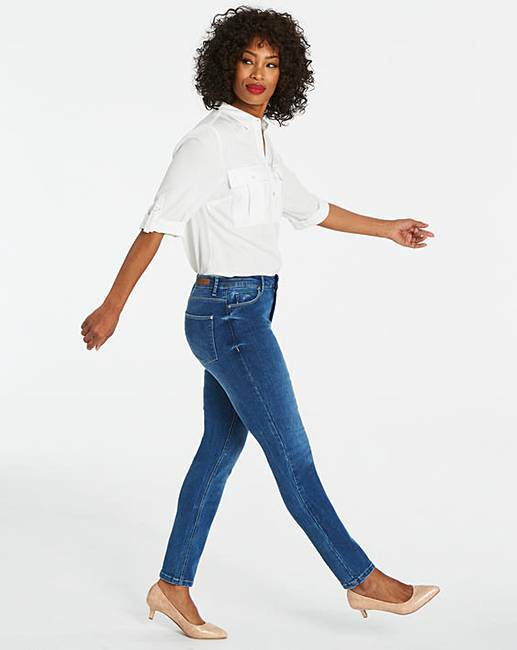 In a beautiful mid blue wash this jean will fit just how a jean should, featuring a curved yoke at the back to give the illusion of a great shape bottom and premium denim to ensure it doesn't lose its shape after wear. 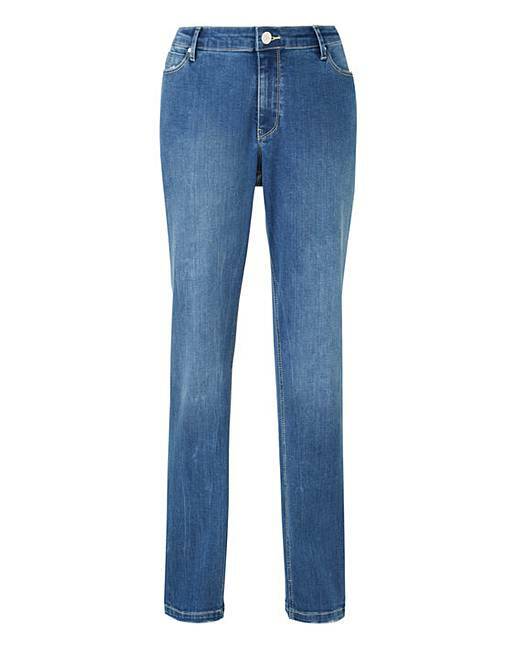 Rated 5 out of 5 by Sweets 77 from Lovely jeans Lovely jeans I normally wear long leg but the regular leg was fine. Went back on line when I received these and brought 2 more pairs in the other colours. 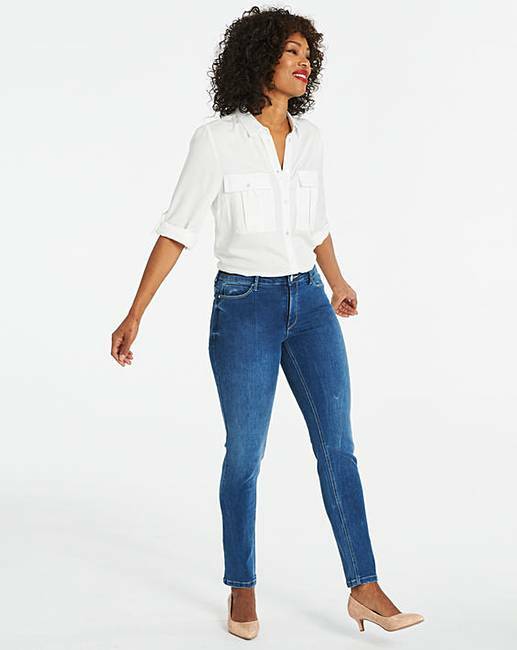 Rated 5 out of 5 by Birdie from Great These jeans have a great flattering shape. The waistband has a clever internal stretch it looks like a regular waist band but hides a tummy friendly give. Really good material, doesn't lose its shape. Love em. 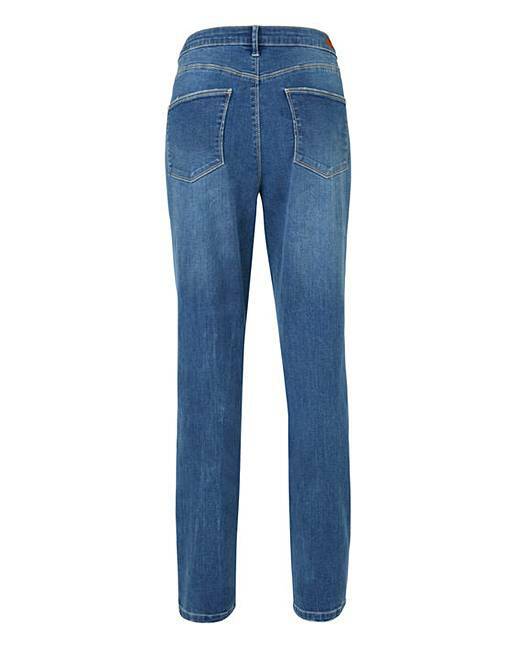 Rated 5 out of 5 by Lynne from Super comfy jeans Really pleased with these jeans. So comfortable and look great on so I ordered a 2nd pair! 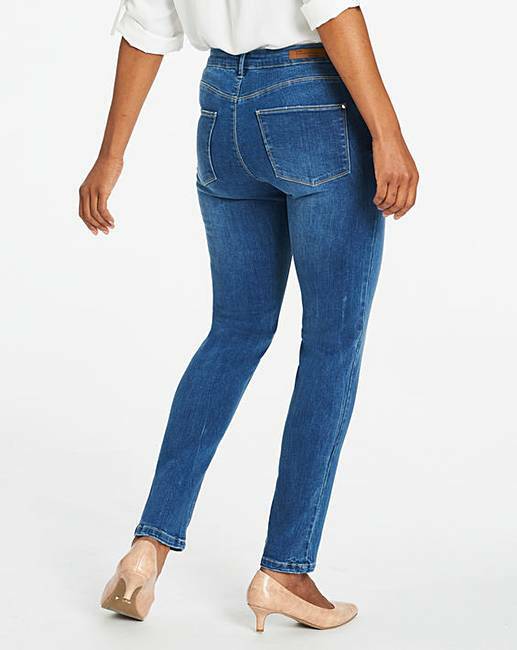 Rated 5 out of 5 by tillietot from Excellent fit I got these a couple if weeks back and they fit so well and are so comfortable i got a second pair.